The movie started at 11:00am. . .on a Friday. And you have a chance to see it for free. . .and it’s Star Wars. Do you play hooky to go see it? That was exactly the situation I had last Friday. I went. I didn’t play hooky. It was work related. I saw the movie with my friend Howard. In addition to the other things he does, he publishes moview reviews. (His review of Rogue One is found here, and contains no spoilers.) So, for Howard, the issue of work related or not was not even a question. It literally is part of his job. Anyone who’s read my scribblings over the years knows that I work in IT. I’m a computer guy. So, how could I possibly justify seeing a movie on work time? Well, it wasn’t to take notes on the project management aspects of building a death star. Although, I do have to admire the determination that Ben Mendelsohn’s character showed in tracking down a technical resource for his failing project. It’s not what I would recommend as a best practice, but in fairness, it did get his project back on schedule. I was there at the invitation of Maxta. You have probably never heard of Maxta. Honestly, I had never heard of Maxta. They design hyperconvergence software. (I had never heard of that either.) They way these corporate events go, you get invited to a movie and they offer a short presentation at the beginning. Sometimes they give stuff away. Often it’s a slide show with a sales guy explaining what the software does. The company puts the event on, knowing you are coming for the movie, but hoping to spark your interest in their solutions. This event was a little different than previous ones I’ve attended. I expected a 300 seat theater. 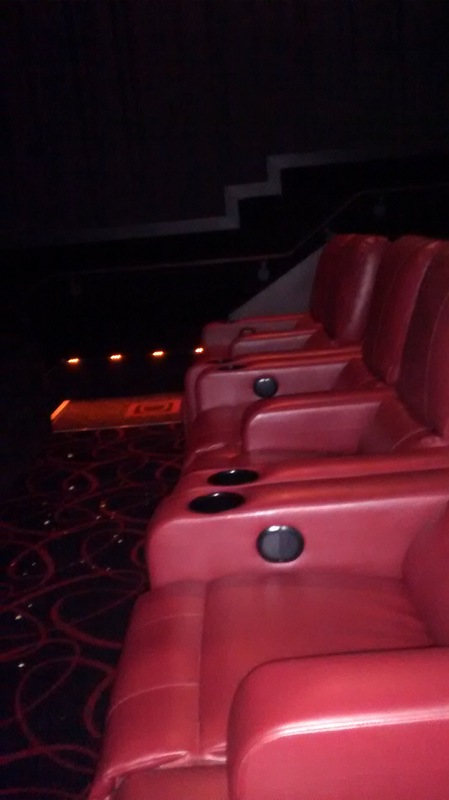 The room we were in had 48 extra-wide, super-comfy recliners. I’m pretty sure the theater designed this room specificaly for these type of events. It worked. Unfortunately the threat of snow on Friday kept many people away. The room was only half full. Hyperconvergence sounds like something out of Star Wars. . . and it sounds like something bad. Like maybe the hyperdrive is failing do to convergence. Actually hyperconvergence is much simpler, and infinitely cooler than a movie plot point. It took me a while to wrap my head around it, and frankly it wasn’t until Howard googled the term, that I started to understand it. The easiest way to think about hyperconvergence is to look at your cell phone. You can use apps from many different manufacturers, and they seemlessly share data and most importantly a single interface. But, Maxta doesn’t make cell phones. The hyperconvergence software they sell is for datacenters. They do for a datacenter, and especially the storage in a datacenter, what your cell phone does for the applications on it. It lets you manage from a simplified user interface and take advantage of many different storage solutions. (Stay with me, last bit of techno-jargon coming up here.) It means you don’t need a Storage Area Network, or SAN. Okay, who cares, right? I’m guessing that your eyes sorta started to glaze over in that last paragraph and you were thinking, “Get on with the movie, already!” Well, once I figured out what hyperconvergence did, I was very interested. My company runs multiple datacenters. At my previous company, I was responsible for maintaining the datacenter. This is a product that not only didn’t I know existed, I didn’t know I needed. And that is why these events are valuable. That’s why these events, despite the fact that it’s to see a popular movie, are work related.